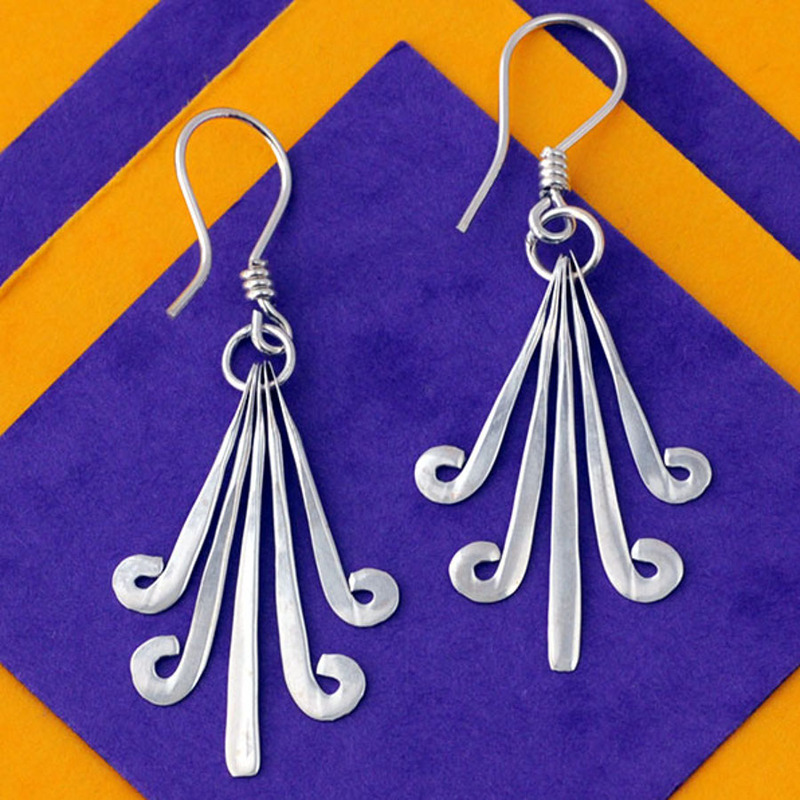 These gorgeous fair trade drop earrings feature an Aztec inspired design, handmade using reclaimed silver. The solid silver earrings are made by silversmiths in Mexico who receive a fair price for their work, whilst Silverchilli also support local community projects and initiatives. The Silverchilli Flores Aztecas Earrings product ethics are indicated below. To learn more about these product ethics and to see related products, follow the links below. Lovely Fair Trade earrings, well made and just right for a birthday present for almost anyone who has pierced ears. There are currently no questions to display about Silverchilli Flores Aztecas Earrings. Silverchilli work with two Mexican charities promoting sustainable resource management, skills training and educating on recycling. PlanetSilverChilli bags are handmade by womens groups, environmentalists and a prisoner skills training groups using colourful factory-second crisp packets and car tyres. PlanetSilverchilli pay 50% in advance on all orders to help fund raw materials, so the producers are never out of pocket. The remaining 50% is paid on delivery, making PlanetSilverChilli bags a combination of fair trade, inspired design, and environmental consideration. PlanetSilverchilli is a member of the British Association of Fair Trade Shops.